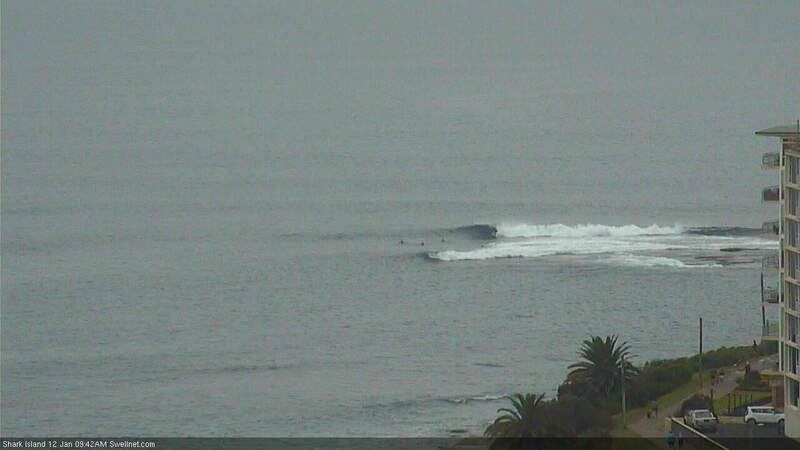 Best Days: Fri: early light winds and a small building SE swell. Sat: window of light winds through the middle of the day and a peaky NE/SE swell combo. Mon/Tues: strong combo of S and SE swells with good winds, esp Tues AM. Recap: Tiny surf prevailed Tuesday, ahead of a small S’ly windswell today in the lee of a gusty S’ly change that pushed through overnight. 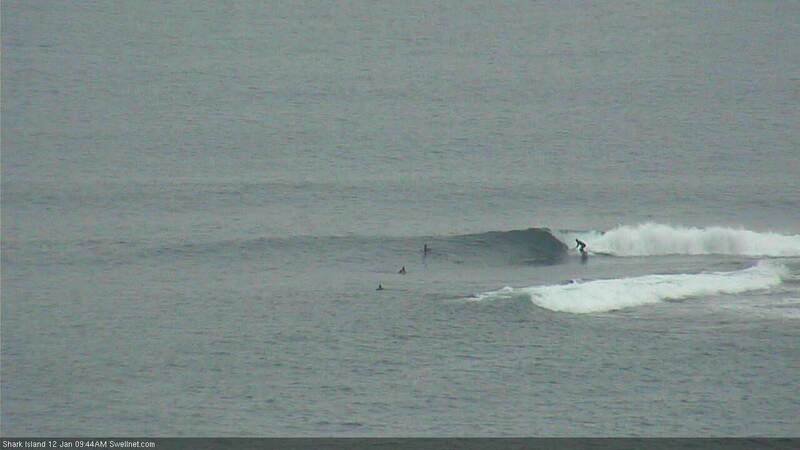 Size has topped out around 2ft+ at south facing beaches with smaller surf elsewhere. The rest of the week looks pretty craptacular. Thursday in particular. Today’s small southerly windswell will fade into Thursday morning, leaving us with small residual energy and early light winds ahead of an afternoon sea breeze. The parent low to today’s southerly is developing in the central/southern Tasman Sea though models have slightly would back its strength, steered it a little more promptly to the east, and aimed it a little more to the north - which has pulled back its surf potential a touch (in size, and also timing). I’m now less confident that we’ll see much new energy on Thursday afternoon - though we should see small waves all day thanks to the early stages of the developing low. Friday’s SE pulse will probably be marginally smaller in size than estimated on Wednesday, thanks to an overall weaker source. Worse, NE winds are expected to freshen throughout the day so conditions will become pretty average at most locations. Early morning should offer a period of light variable winds, and surf size should be slowly building towards a peak somewhere bigger than 2ft but less than 3ft by the afternoon. The peak of this swell is more likely late in the day though this is when surface conditions will be at their worst. So, aim for Friday morning but keep your expectations in check. 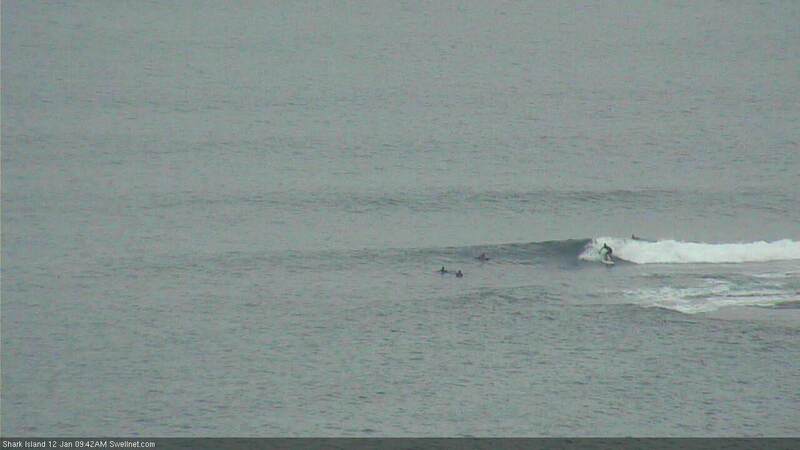 Saturday looks OK at this stage, with a combination of slowly easing SE swell from Friday (say, 2ft+), and plenty of NE windswell in the 2-3ft range. A gusty S’ly change is expected to nose into the Sydney region mid afternoon (models have sped it up a little since Monday) and although we may see a lingering N’ly flow at dawn, the period from mid-morning through early afternoon should see light variable winds, possibly offshore. So, this will be the best time to surf (keep in mind the S'ly will reach southern locales much earlier). The fetch trailing Saturday’s late S’ly change won’t be very significant so initially, Sunday morning will start off with small residual swells from the NE, SE and S. However a second S’ly change is modelled to arrive early on, as a broad Tasman Low develops mid-way between NSW and New Zealand. This will maintain poor conditions for most of the day under a gusty S/SW breeze, however we’ll see size lift into the 3-5ft range range at south facing beaches. Expect smaller surf elsewhere. Tasman Lows sound great in theory but they need to be it the right part of the basin - and aligned properly - to be of benefit to us. Right now, the latest model guidance suggests Monday's Tasman Low will generally be positioned a little too far east and (eventually) north for maximum value, along with a strong meridional alignment (north/south) - all of which means Northern NSW will be the biggest beneficiary from this event. However, that doesn’t mean we won’t see any surf - we certainly will - it just may cap the size compared to a more favourably positioned system. And, there's certainly some dynamic potential in the forecast mix too, with the latest model guidance showing core wind speeds of 50kts and a potential captured fetch scenario as an approaching front slingshots around the low - if the models nudge this closer to the mainland over the coming days, we will see a concurrent upgrade in size. Anyway, Monday and Tuesday are currently on target for a mix of south and south-east swells building from 3-4ft to 5-6ft at exposed beaches with good southerly exposure. Note: this is much higher than the model forecasts, so I'm going out on a limb but the synoptics are certainly quite promising at the moment. Conditions will be mixed - Monday morning should see an early period of SW winds before fresh southerlies kick in, whilst Tuesday is currently the pick of the forecast period with light variable winds and sea breezes. This S and SE swell combo will then ease through Wednesday. Elsewhere, a developing inland trough will freshen NE winds through Wednesday and consequently kick up some useful NE swell for the region into the afternoon and throughout Thursday, and a series of fronts passing much further south through the Southern Ocean will generate some small but workable southerly swell through the second half of the week too. However, for now the most important news is that the first half of next week looks much more like autumn than summer! Fingers crossed anyway. Yes! Yes yes this has to happen as some authorities smashed my car while I had a heart attack and I'm sick of walking 15ks to the beach that has waves..
Models have moved this system closer to Southern NSW and broadened the fetch, which has subsequently upgraded the size potenbtial for Tuesday (as suggested in yesterday's notes). Though we'll see plenty of further adjustments over the coming days, so don't lock in anything yet. I was looking at a swell model! Does this swell have the possibility of being 10-12ft at south Facing beachs!? What's also "exciting" Ben is now the whole eastcoast of Australia, Victoria Tasmania nsw and queenland are going to cook.. Sorry just looked at the charts and realized it is the bomb from the Indian! Duh.. 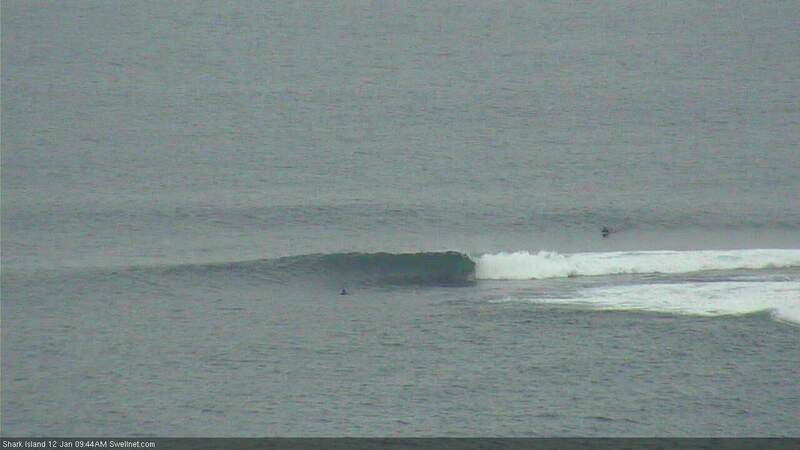 It's lagging behind arrival expectations, but the new SE swell is finally showing - here's a couple of small peelers at Shark Island. Seems to be consistent too, this set just came through.